No Surprise – I’m a Slow Swimmer! So I’ve been running now for, wow, 5 years now. I haven’t put on as many miles in those 5 years as I’d like but I’d guess I’ve done around 2,000 miles total in that time. Which isn’t horrible but my goal this year is between 1,000 and 1,500 miles so I have a pretty agressive running goal this year! So this whole site is based on WordPress (duh) and I’ve been on it now for a year and a half or so. I miss LiveJournal in some ways but overall, I’m quite happy to have my own blog on my own domain. The one thing that has been a real pain for me though since I moved here has been dealing with WordPress from a performance standpoint. Its a very heavy PHP application and it’s varied anywhere from slower than molasses in the winter to sluglike. If you’re not logged in, then the speed is better since I have caching set up but once you’re logged in, forget about it. And with the photo gallery I’ve been adding the last few weeks, that was also pretty slow. 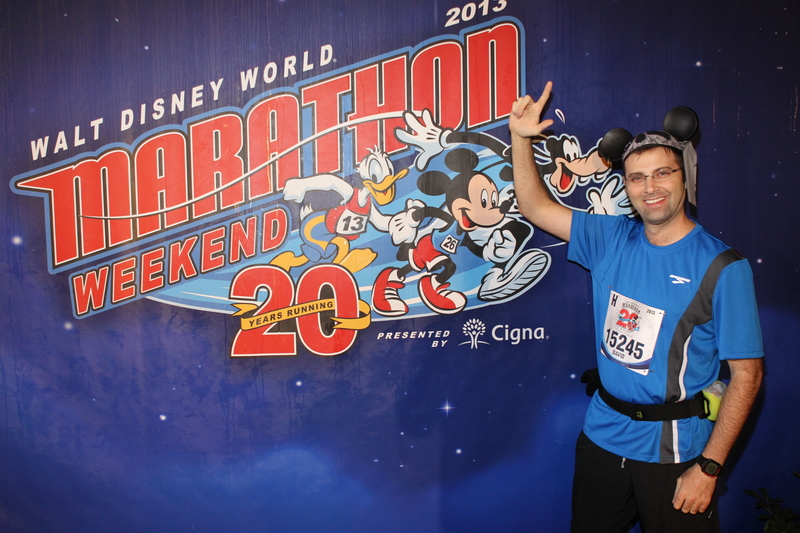 Wow, so I finished my marathon on Sunday and I have to say it was quite an experience! I’ve run a marathon once before but I honestly barely remember it. I didn’t run the whole thing and it took me around 8 hours to complete. I’ve never considered it my ‘marathon’ and I don’t even like talking about it. So while this wasn’t my first it still felt like it. It was a crazy weekend, that’s for sure. First, we went to Disney on Saturday to check in and get the hotel room. This all took longer than I expected so we ended up going to lunch around 3 pm. Lunch ended up being my ‘traditional’ pre-race meal of pasta at an Olive Garden on I-Drive. I had carb loaded all week but you gotta have spaghetti the day before a big race! Then Ilisa and I met my friend Dave who I was running with. Or at least that had originally been our plan. We chatted for 15 or 20 minutes at Wonderworks before they went off to meet friends for dinner. Ilisa and I were going to a murder mystery dinner she got me for my birthday so we hung around I-Drive to play mini-golf. I have to say, that ended up being a great way to do something without really over-exerting myself. The mystery dinner was a lot of fun and the food was pretty good too. Unfortunately, I didn’t solve the crime but it was a funny show they put on. Then we got to go to bed for all of about 4 hours before I had to get up at 3 am and make my way to the start. I don’t think I slept particularly well but I was able to wake up easily at 3am despite my fear of sleeping through the alarm. That would have been horrible! I got dressed pretty quick and left Ilisa to go back to sleep (lucky). I was on a bus by 3:20 am and the ride to the start took about 40 minutes. Once there there was 3 or 4 pictures taken of me before I even made it to the meeting spot. It was very similar to the Disney Wine & Dine with a stage and people milling around. It wasn’t as crowded since even though its a big marathon, the marathon is smaller than the half. I finally met up with Dave (not myself) and we were able to hang out for the 2 hours we were waiting until our wave. We were starting in H gate which was the final wave. We did manage to push our way to the front of that wave, which for me was a huge bonus because as it turns out, I should have started probably in E or F wave. I just never submitted a time. The upshot was that I got to hang out longer. The downside would come later. Normally I wouldn’t have cared where I started because its chip timed. Its 10 days into the new year and I wanted to blog more. It took me 10 whole days! What a horrible start. Actually, not too bad. I spent much of the past week working on optimizing this blog. I’ve been very unhappy with the performance of the site so first I had to fix it up. Now that it actually loads quickly, it’ll be worth using as a blog!